Even if masonry work doesn’t make you warm and fuzzy inside (like it does us) there’s truly something special about watching an experienced bricklayer go to work. With smooth proficiency he or she applies the mortar in thick, generous layers, before adding the bricks to the stack. The most stunning brick walls and masonry details beg attention from all that pass by, just like a great piece of artwork hung in a gallery. Brick laying is truly an art form that must be approached with attention to detail, a plethora of knowledge, and all of the right materials. In this blog we highlight the art of bricklaying, and how you can secure the best-looking brick in the neighborhood. Anyone can learn to lay bricks, but this learning process takes time, trial and error, and exposure to many different projects. It might save money to hire someone with little to no experience to lay bricks but is that a wise decision? At best you might end up with a mediocre finished project, but more likely it will include a number of eyesores. Trained and skilled bricklayers have learned the trade from a master bricklayer, watching and then doing, and doing again, until they are finally able to complete the task without errors. It takes plenty of know-how as well as experience to learn the true art of laying bricks. Bricks that are properly placed with well-mixed mortar are going to look superior, and stand up to the test of time. 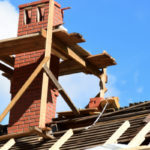 Therefore, in the long run paying an expert to lay bricks is going to going to be more cost effective than having someone with little to no experience take on the job. Not only do bricks need to look great, but they also are required to hold up a wall, or perhaps your entire home. 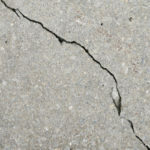 For this reason, poor masonry work can cause way more problems than it is worth. The only way to learn how to lay bricks is to watch a master at work, and then try over and over to get the process just right. Before hiring anyone to lay bricks, it’s hugely important to find out how much experience they have. Long before the actual mortar is set and the bricks placed on top there are a number of different steps to laying bricks. First, one must pick the best type of mortar for the job and create the perfect mix. Next, bricks need to be cut to fit together just right. Bricks can be purchased pre-cut and ready to go, but the bricks necessary for corner edges still need to be cut, which takes extra careful precision and know-how. Creating a well-balanced and beautiful brick structure requires attention to detail throughout each step of the process, if one thing is short-cut or incorrectly approached, it can throw off the entire project. Since brick structures are built to last a lifetime and beyond, you want every last step conducted just right. You can’t be an artist without the proper supplies, and just like any art project bricklaying comes with its own specific sets of tools. 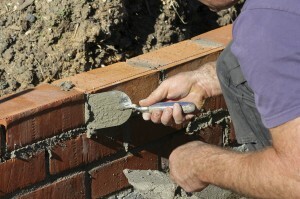 Mortar is one of the most important tools a well-built brick wall includes. Without mortar you could stack bricks all day but one good bump, or even a gust of wind, and the bricks are going to come tumbling down. Mortar is the material you can visibly see between bricks, this is what holds the bricks firmly in place for hundreds of years. Mortar is like heavy-duty glue for bricks, but since it is always visible it’s important that the color of the mortar goes well with the bricks. Mortar comes in a wide variety of colors; it takes an artistic edge to identify just the right color mortar to match the bricks as well as other surroundings. 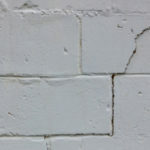 If you see damage to mortar, this must be carefully addressed and repaired in order to ensure the integrity of a brick structure. This process also requires an eye to detail because you want the replacement mortar to match the original mortar. Bricks are known for their stereotypical red-faced appearance, although bricks come in a variety of colors depending on the actual mixture used to craft them. Bricks can also be painted to obtain a truly unique or more vibrant shade. Bricks also come in different sizes, and can be laid in distinct patterns to alter the look and durability of a structure. Course, wythe, bull header, bull stretcher, these are just a few bricklaying terms that define different methods used to place bricks. Having prior knowledge and experience with these methods is key to being a true expert at the art of bricklaying. 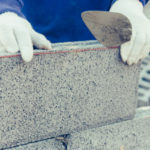 Knowing all of your options and what will work best for a certain location or design is important in order to get the best possible masonry work (Read more). Brick structures are made to last a very long time. In order to get the most out of masonry work, it’s always advised to hire an experienced professional that truly understands the art of bricklaying. For superior masonry work you can count on today, and many years from now, contact Turnbull Masonry.